Photographer and Painter work together to create new images. Ginger Van Hook and Luke Van Hook. Location: SouthGate, California. Southern & Dudlext street across from SouthGate Park. My work in photography investigates how to make the invisible, visible. Electromagnetic Fields are an invisible force on our planet that is created from the generation of electricity through high voltage power lines just to cite a particular example. So too, this force exists in smaller quantities in microwave ovens, TV’s, computers and electrical appliances. At first this type of radiation was not well understood, nor how it affected the human psyche, the brain or the body. 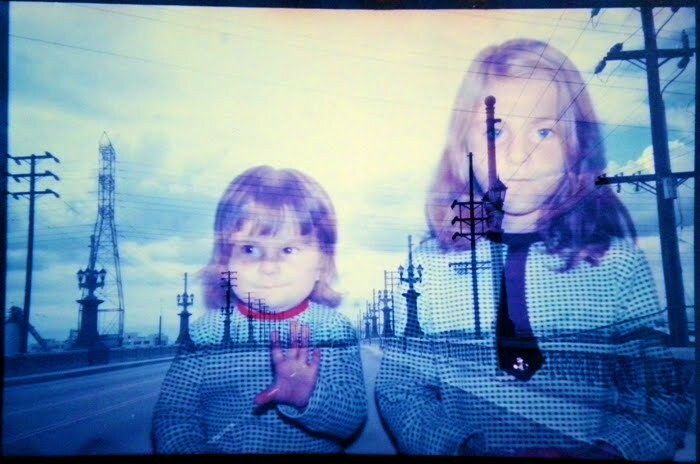 I began investigating the issue of High Voltage Power Lines at first because of its unique visual relationship to me. 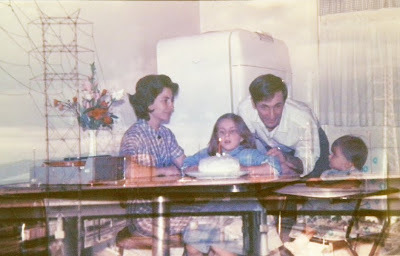 In 1964-1966 when my family arrived in Los Angeles from Argentina, we lived in Southgate, California and we rented an apartment about a few feet from a row of high voltage power lines. I always thought these enormous power structures were beautiful; an elegant testament to man’s ambition to conquer the night. Later, I found new reasons to investigate the issue as I began to learn of the powerful electromagnetic fields that were associated with this technology. The issue is also personal as my sister had developed Leukemia and died in 1975, but no known cause was ever attributed to her death. 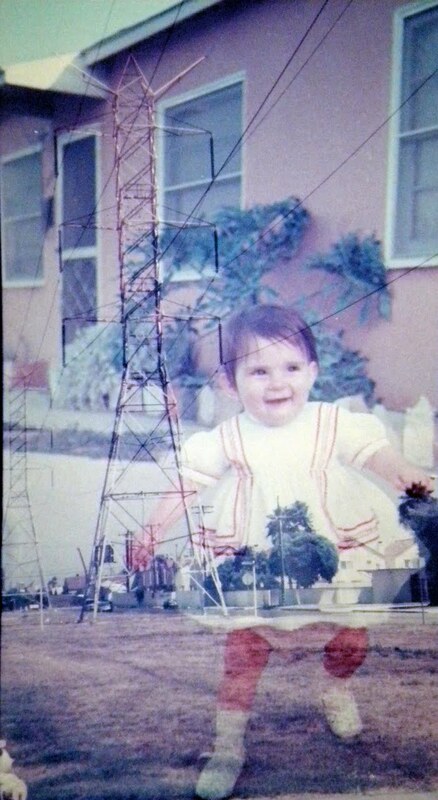 When I learned of the connection between High Voltage Power Lines and childhood Leukemia I started investigating this issue with even deeper conviction, photographing Power Towers between California and up into Oregon. The question of how electromagnetic fields affects the brain, the body and the psyche are the subject of now a lifelong study looking for my own personal answers. I seek to demonstrate to the public, the art world and to my family that an invisible force is still active, even when it cannot be seen or perceived by the human eye. 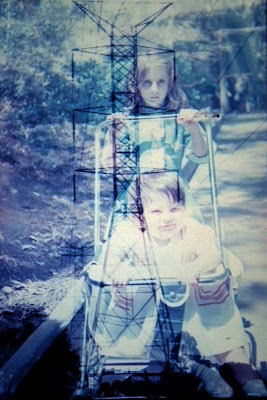 Just as I had worked in the radio business for 15 years and learned sound waves were able to be captured and heard on a receiver to broadcast music, so too, I wish to explore the visual impact of electromagnetic radiation as it applies to the perception of the public mind, the brain, the body and the psyche. I believe my work would be of particular interest to Prof. Shinsuke Shimojo of Caltech because I too seek the connections between hidden links in my photographic work. I too study the associations to my childhood memories, how the public perceives these issues and the emotional states that are a result of invisible forces in our environment. In my work I also wish to acknowledge the collaboration with my husband and Gallery 825 --Los Angeles Art Association Member, fine arts painter, Luke Van Hook with his assistance on road trips, support with equipment and creative consultation through several states to obtain the extensive collections of Power Tower and Power Lines photographs as well as the generosity of my father, inventor, Luis Ingels for allowing me the use of our childhood negatives for me to cut up and create images of double exposed negative sandwiches resulting in powerful views of High Voltage Power Lines seen through the lens of my childhood memories. My work involves darkroom techniques with double negatives sandwiched together like the work of Jerry Uelsmann including double and triple exposures as well as digital imagery created on the computer. http://spectrum.ieee.org/techtalk/semiconductors/devices/powerlin_radiation_and_children posted by Tekla Perry//Tuesday, December 16, 2008.
and my middle sister Else Ingels depicting the family celebrating Else's first birthday. Else was born in 1964 and died of Leukemia in 1975. Southgate, California. Southern & Dudlext streets, across from SouthGate Park.1965. 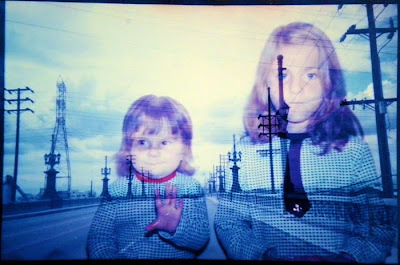 over the downtown freeways in 2003 and this final image was created in the darkroom using two negatives in April 2010.